Every spring, the U. of Oregon hosts some 1500 high school language students and their teachers for Foreign Languages and International Studies Day (FLIS). They attend performances and short workshops on folksongs, food, poetry, jokes, family life, handy vocabulary for getting lost, for not getting lost. . . the list goes on (on the UO website), so I won't. But what a chance to show off, right? And what a chance to get another generation of readers thinking about translation and the choices it demands. This year, I talked about some of the challenges in translating jokes (which draw on cultural knowledge and, often, cross-cultural stereotypes), wordplay, and regional usage variations. 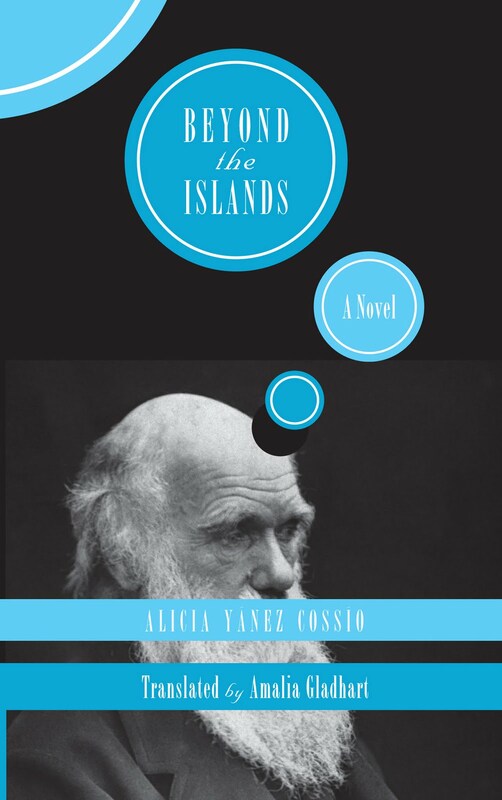 In particular, what to do with what is described, in Alicia Yánez Cossío's Más allá de las islas, as "el difícil tiempo habéis" and "el inusitado empleo de la voz éis." That is, the verb forms that go along with the second-person pronoun vosotros (normative in Spain, bizarrely out of place in Ecuador). Gratifyingly, I had a standing-room crowd. More gratifyingly still, they were engaged in the topic, ready to ask questions, to share ideas. Roughly half of the 35 or 40 present raised their hands when I asked if they were Spanish students. All of them allowed as how they were learning the vosotros form. "We have to," one called out, with a little edge in her voice. Translating, I pester colleagues, friends and relations with questions-- what do you think this means? would you ever say. . . ? Talking about word puzzles and quibbles is one of the secret (or not so secret) pleasures of translation. It is also an occasion to air pet language peeves. So, queried about "el difícil tiempo habéis," one of my long-suffering informants, a linguist colleague I greatly admire, groaned at my question about that "difficult" tense. "Can we stop calling it that hard vosotros form?" he begged. "Please?" Well, as it happens, no. Not always. The point isn't that it's any harder to learn to use vosotros than it is to use tú. The point is that the character in the novel adopts the form in order to show off, trying to make herself sound more like a priest and give her impromptu sermon an authority it doesn't deserve. And, making it funnier, she can't maintain the pose for more than a few sentences. The point is the jarring--and funny--mix of Spanish varieties, a mix that can't be ironed out in translation without losing something important. I finally called it "the difficult thou tense," and elsewhere referred to the character's "antiquated and pretentious grammar." I hope the students left with a chuckle and, more than that, with a sense of some of the choices that contribute to any translation they might read. With apologies to anyone whose teaching life is made a little harder by the joke.